Those familiar with special education students, especially those with autism, know that behavior problems are often related to time, travel, and transitions. Special ed students can become upset if something unexpected happens, or if they do not know how long something will last or when they will get their turn. 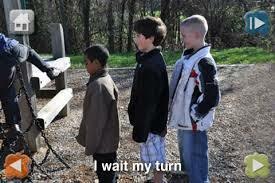 The problem is compounded when the student appears to hear instructions but does not process them. Linda Hodgdon, a speech language pathologist and ASD consultant, says the best way to communicate in such cases is visually, through pictures, timers, signs, writing, and body language. Thankfully there are many tools to help. 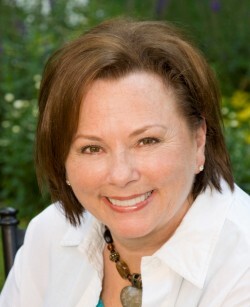 In an edWeb.net webinar entitled “Time, Travel, and Transition: Using Visual Strategies to Support Successful Participation for Students with Autism Spectrum Disorder,” Hodgdon discussed tools and apps available to avoid behavior issues and help special ed students develop personal organization, show up on time, and get things done on time. TIME: Time can be a problem because it’s invisible — students don’t know when things will happen, and this leads to nervousness and anxiety. Graphically showing the passage of time can alleviate the problem. Timers: Timers help students know how long something will last or when it will happen again. There are many free timer apps with graphics — just search for “timer” or “countdown” in the app search bar. Visual scheduling apps help students understand what is going to happen and when. Linda Hodgdon suggests using them not only for main events but for activities leading to the event. Those for special needs include iScheduler ($0.99), iHomework ($1.99), Visual Routine ($4.99), Choiceworks Calendar ($4.99), Chore Pad ($4.99), First Then Visual Schedule $14.99), and iPrompts ($49.99). 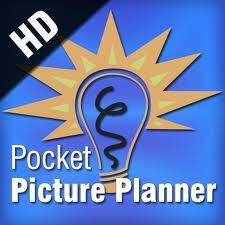 Free calendar apps with visuals are PocketLife Calendar and Pocket Picture Planner HD. TRAVELING: Traveling involves change, which can induce anxiety. Students have meltdowns when what they expect doesn’t happen. Giving students pictures of where they will be going and what they will be doing can help them understand what’s happening and keep calm. Places (a $24.95 video) and Model Me Going Places 2 (a free app) are electronic visual storybooks which run kids through common scenarios such as getting a haircut and playing on the playground. NeedFood ($3.99), a visual grocery list, has proved helpful to special needs students on shopping trips. Traveling and decision making: The Planner Guide, found at theplannerguide.com, is designed for those with special needs and works on most mobile devices. The app provides good examples of how to visually sequence decisionmaking scenarios, particularly those needed when traveling. TRANSITIONS: Special ed students often don’t want to switch from one activity to another, or change their surroundings. Hodgdon noted how important it was to validate that you understand what the student is trying to communicate, then explain why something must happen and help the student sequence through the transition. INSTRUCTIONAL TOOLS: Webinar attendees shared tools they found helpful: VizZle at monarchtt.com to aid in the creation of visually based lessons; autismapps.wikispaces.com for reliable app suggestions; the Bitsboard app (free) for visual learning; Pictello ($19.99); Eggy Alphabet (free); Letter School ($4.99); Writing Wizard ($2.99); AutismFamilyOnline.com, and The Learning App Guide by Bronwyn Sutton Speech Pathology. 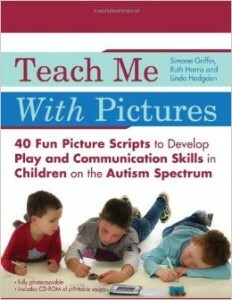 Also mentioned were Hodgdon’s book Teach Me with Pictures and her website, UseVisualStrategies.com. Tagged ADHD, autism, calendars/visual schedulers, Linda Hodgdon, Model Me Going Places 2, NeedFood, Pocket Picture Planner, SEL, The Planner Guide, transitions, VizZle. Bookmark the permalink.